Can you tell me the era of this locket and whether it is of Russian origin? This locket belonged to my Australian aunt who had written about its provenance in which she describes it as being a gift from Russian royalty to a visiting English guest. 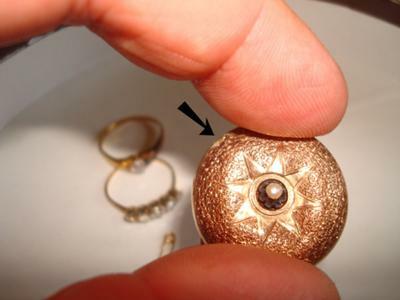 I know that the locket is 14k rose gold, but it is damaged. I've been advised that the cost to fix the damage would cost more than it is worth. I would still like to know when the locket was made and if, in fact, it is a Russian piece. Thank you!